CST has expanded its capabilities by engaging in a partnership with the Danish Technical University (DTU). The joint venture will run over ten months to optimise the CST laser illuminator for a more coherent performance and extended operating time. The aim of the mutual programme, which will benefit both parties, began in May of this year. 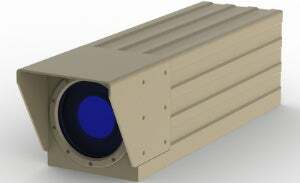 It will see DTU Fotonik transfer technology and optimise the newest technology in CSTs portfolio, which is an infrared laser illuminator for better performance. DTU Fotonik is specialised in light sources and industrial sensors and is spending 400 hours in collaboration with CST to optimise the firm’s laser illuminator. This illuminator is integrated into the CST Pan & Tilt unit, PTZI-1000, together with a long-range camera, which is specifically designed for border and coastal day and night surveillance. Together with the high-sensitivity camera, an area can be protected 24/7 by continuous surveillance, even under harsh environmental conditions, such as severe shaking or vibration and under temperatures ranging from -40°C to 70°C. To increase the laser power and coherence a new powerful laser driver has been implemented and the cross section of the beam has been reduced by 50%. Furthermore the new version of the laser illuminator is upgraded to have a SMART control and thermo stating function to extend and protect the lasers lifetime.